Born in Pakistan’s teeming commercial metropolis Karachi and raised in Southern California, Abbasi is anything but a usual jazz player himself. He’s spent his creative life navigating the crossroads of disparate musical realms. While best known for his work as an improviser, and composer, Abbasi also performs internationally with Kiran Ahluwalia, and serves as musical director, arranger and producer in their evolving artistic collaboration. Their creatively charged relationship has resulted in several Juno Award-winning albums hailed as world music masterpieces (such as 2008’s Wanderlust and 2011’s collaboration with Tuareg rockers Tinariwen, Aam Zameen/Common Ground). Over the years he’s performed with a dazzling pantheon of giants such as Ruth Brown, Peter Erskine, Kenny Werner, Barre Phillips, Tim Berne, Michael Formanek, Gary Thomas, Dave Douglas, Mike Clark, Ronu Majumdar, Kadri Gopalnath, Vishwa Mohan Bhatt, Greg Osby, Howard Levy and many others. A junction is the point at which several things converge. 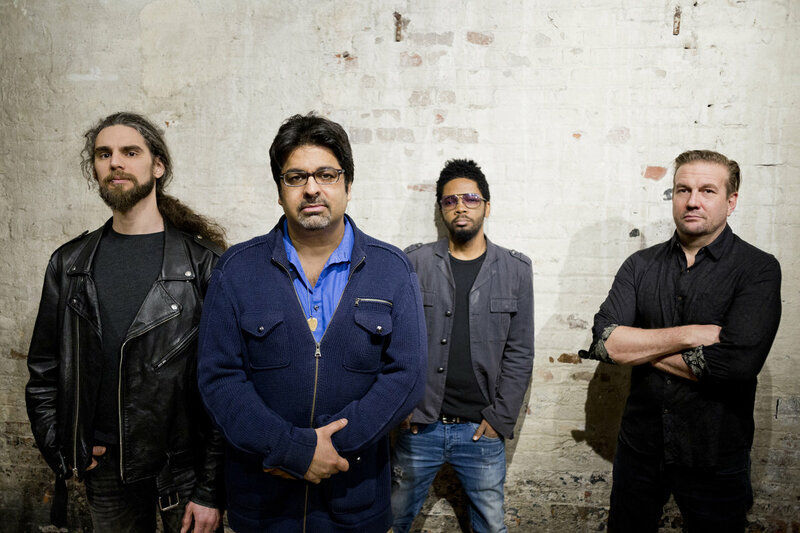 For the visionary and award-winning jazz guitarist Rez Abbasi, his new band Junction weaves together musical currents he’s spent his career navigating. 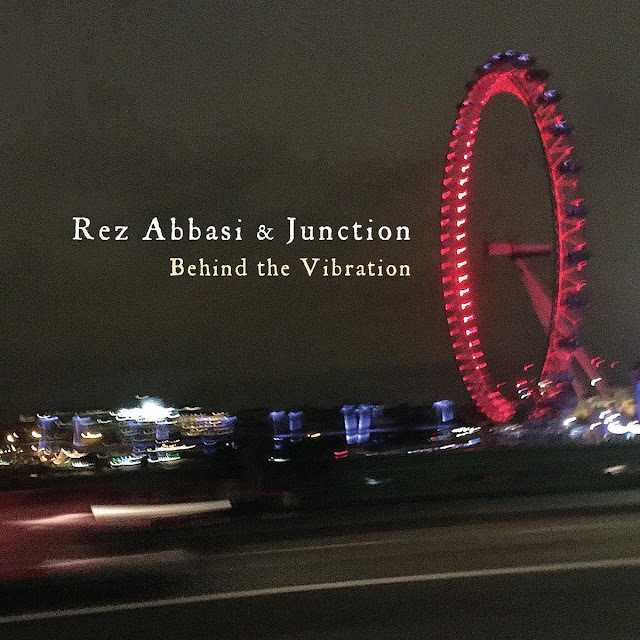 Abbasi has been at the center of some of the most enthralling and culturally expansive music of the past two decades, and his Cuneiform debut Behind the Vibration introduces a bracing new body of music, a sinewy 21st century approach to jazz-rock inspired by his far-flung influences. 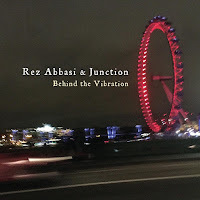 In myriad inspired collaborations, from the South Asian jazz synthesis of alto saxophonist Rudresh Mahanthappa’s Indo-Pak Coaltion to the Punjab-meets-Tuareg vocal flights of Kiran Ahluwalia, Abbasi has manifested an uncommon gift for creating new sounds in settings deeply inflected by traditional forms. 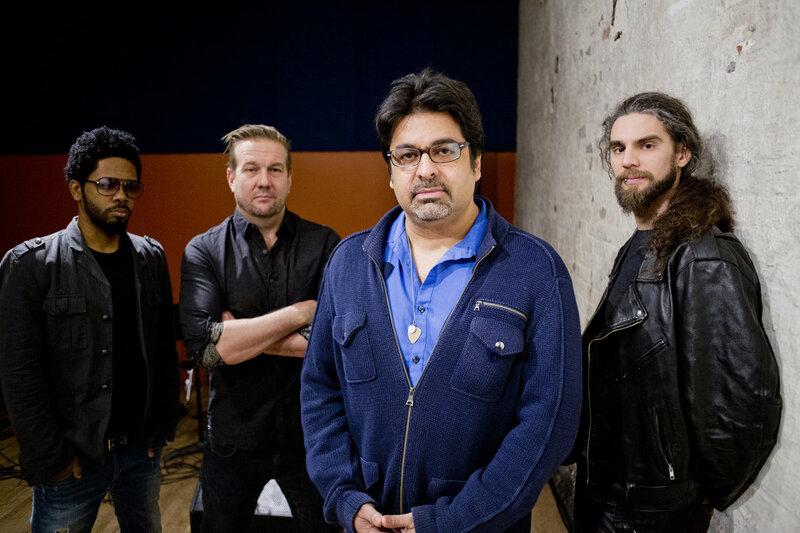 In his own projects, the Pakistani-American musician has displayed similarly fierce creativity, like his gorgeous unplugged reimagining of jazz-rock classics with the Rez Abbasi Acoustic Quartet’s (RAAQ) critically hailed 2015 album Intents and Purposes (Enja), and his all-star quintet (and sometimes sextet) Invocation with Mahanthappa, Vijay Iyer, bassist Johannes Weidenmueller, drummer Dan Weiss, (and latest addition cellist Elizabeth Means). 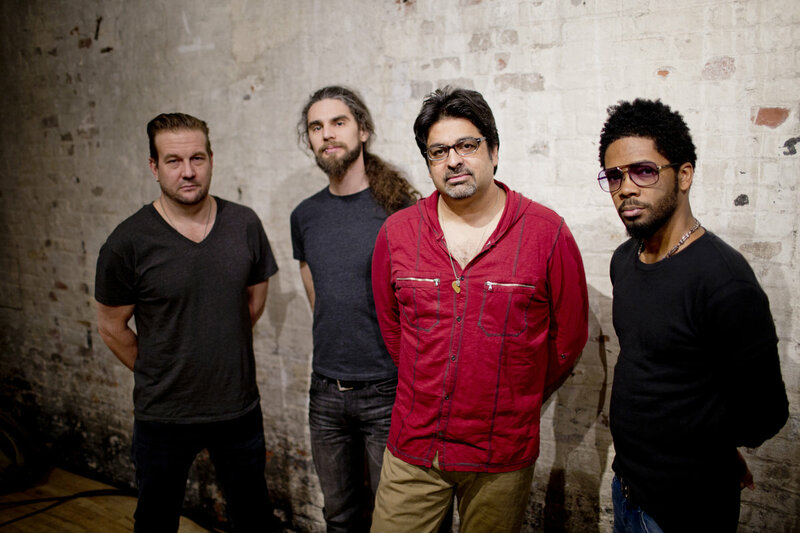 Junction, the electric project that Abbasi formed to bring his original tunes to life, features Mark Shim on tenor saxophone and the electronic MIDI Wind Controller, Ben Stivers on keyboards, B-3 organ and Rhodes, and drummer Kenny Grohowski. The band is a supremely maleable ensemble that has forged a poised and texturally accute group approach. While exploring a vivid palette of electronic sounds and aggressive grooves, Junction maintains the dynamics, precise calibration, and interactive imperative of an inspired jazz ‘acoustic’ combo. Sonically surprising, the album opens with “Holy Butter,” a piece inspired by a collaboration with classical South Indian dancers. In the first of many sonic feints, what sounds like a deeply funky bass solo is actually Shim getting down with his MIDI Wind Controller. Indeed, not having a defined bass player is a significant element of Junction, opening up the band’s sound as Stivers and Shim alternate low end responsibilities. Inspired by the Arab Spring, “Groundswell” is a slowly ascending tune that, while originally written for another ensemble, comes home in Junction, with Stivers on B-3—“the first electric keyboard instrument,” Abbasi notes—and a searing Abbasi solo followed by Shim’s oragami-angular tenor. If that piece evokes the mounting of external pressure, “Uncommon Sense” suggests a wending internal spiritual journey with a hypnautically sinuous opening guitar line. As Abbasi puts it, “The title refers to a ‘sense’ that’s beyond our five and one that’s more difficult to connect to due to the clutter in our minds.” Before long, the becalmed lyricism gives way to a frantic search powered by Grohowski’s exceptionally deft trap work. A sparsely decorated noir scene that emerges and departs without pausing for a solo, “And I You” is a brief, cinematic mood piece that arrives mid-album like a shimmering urban oasis. “Self-Brewing” is one of the album’s most fusion-y pieces, with a steeplechase theme introduced by Abbasi and Shim on Midi Wind Controller. The album closes with “Matter Falls,” a mid-tempo anthem that hints at South Asian cadences. Both grand and invitingly intimate, it’s a crunching tune that points to further explorations. Clearly, Junction is just one stop on a spectacularly rich and incident-filled sojourn. Hamiett Bluiett, who featured him on his classic 1995 album Young Warrior, Old Warior (Mapleshade). He went on to work with heavy weights like Elvin Jones, Betty Carter, David Murray, Greg Osby, and the Mingus Big Band. More recently, he’s played a key role in the adventurous bands led by altoist Steve Lehman and pianist Vijay Iyer. Raised in Las Vegas in a highly musical family, trained in classical and jazz, Ben Stivers got his start on the Miami studio scene collaborating extensively with the Bee Gees. A highly versatile player, he’s been sought out by the likes of Ricky Martin, Chris Botti, Matchbox Twenty, and Jose Feliciano. 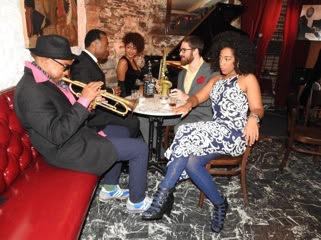 Since moving to New York, he’s also worked extensively in jazz settings. Drummer Kenny Grohowski is engaged in a similarly expansive array of projects. Raised in Miami, he’s a member of several internationally acclaimed ensembles, including bassist Lonnie Plaxico’s band, the heavy metal band Secret Chiefs 3 and Haitian singer Emeline Michel’s Acoustic Quintet. He’s collaborated with artists ranging from Vernon Reid, John Zorn and Bobby Sanabria to Bill T. Jones, Cassandra Wilson, Giovanni Hidalgo, and Daniel Bernard Roumain (a.k.a. DBR). Born in Pakistan’s teeming commercial metropolis Karachi and raised in Southern California, Abbasi is anything but a usual jazz player himself. He’s spent his creative life navigating the crossroads of disparate musical realms. Growing up in Torrance, he first gravitated to the guitar under the sway of rock bands like Rush, Van Halen and Led Zeppelin. Straight ahead jazz had caught his ear by the time he started Palos Verdes High School and he thrived in the school’s respected band program (future tenor sax star Mark Turner was a classmate). He had his first guitar epiphany when a friend took him to see Joe Pass and Ella Fitzgerald. After attending the University of Southern California, Abbasi made the move to New York City in the late 1980s to study jazz and classical music at Manhattan School of Music (while immersing himself in North Indian classical music on a pilgrimage to India under the tutelage of tabla giant Ustad Alla Rakha, Zakir Hussain’s father). He made his recording debut as a leader in 1995 with Third Ear. Recognized as a strikingly original voice, Abbasi released a series of landmark sessions in the succeeding two decades focusing on his original compositions, including 2005’s Indo-jazz Snake Charmer with Indian-born vocalist/songwriter and now wife, Kiran Ahluwalia, and 2009’s Things To Come (Sunnyside) with Ahluwalia, Vijay Iyer, Rudresh Mahanthappa, Johannes Weidenmueller and Dan Weiss (an album hailed by DownBeat as one of the decade’s top CDs). In many ways 2009 was a banner year, as Abbasi received a prestigious Chamber Music America commission to compose new works for the same ensemble, Invocation. He also formed the Rez Abbasi Acoustic Quartet, or RAAQ, with vibraphonist Bill Ware, drummer Eric McPherson and bassist Stephan Crump, to explore both originals and cover tunes. 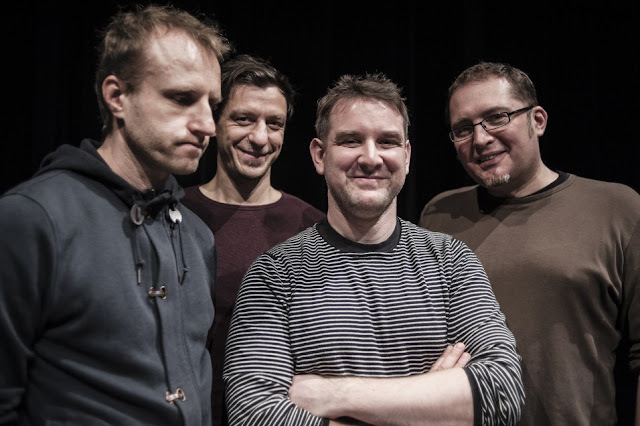 He introduced a new trio with bassist John Hebért and drummer Satoshi Takeishi on 2013’s Continuous Beat (Enja), a group that like RAAQ interprets originals and ingenious modern jazz compositions. 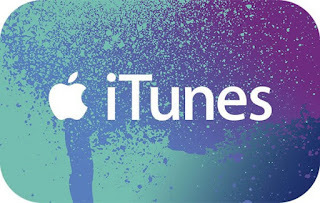 All compositions by Rez Abbasi – Feroza Music, BMI. 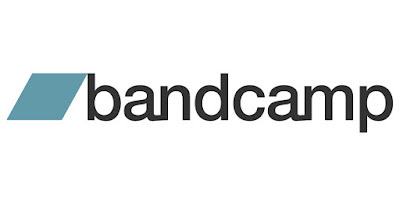 Recorded at Systems Two, Brooklyn by Michael Marciano, August 21–22, 2015. Mixed at Systems Two by Michael Marciano, Rez Abbasi & Max Ross. Mastered at Turtletone Studio by Michael Fossenkemper. Cover photo by Rez Abbasi. Band photos by Kiran Ahluwalia. Thank You: Kiran Ahluwalia; my parents; my in-laws; Robert Abbasi; Rudresh Mahanthappa; Tom Chang; Brice Rosenbloom; George Wein; Vikas & Jaishri Kapoor; Ted Makler; James & Mike at Red Hook Jazz Fest; Chris Tarry; Jaimeo Brown; Michael Marciano; Nancy Marciano; Max Ross; Steve and everyone at Cuneiform; Michael Fossenkemper; and, of course, Mark, Ben and Kenny for the music! Rez Abbasi uses D’Angelico guitars, D’Addario strings, DVmark & Evans amps, and Reunion Blues bags. Kenny Grohowski uses Bosphorus Cymbals. 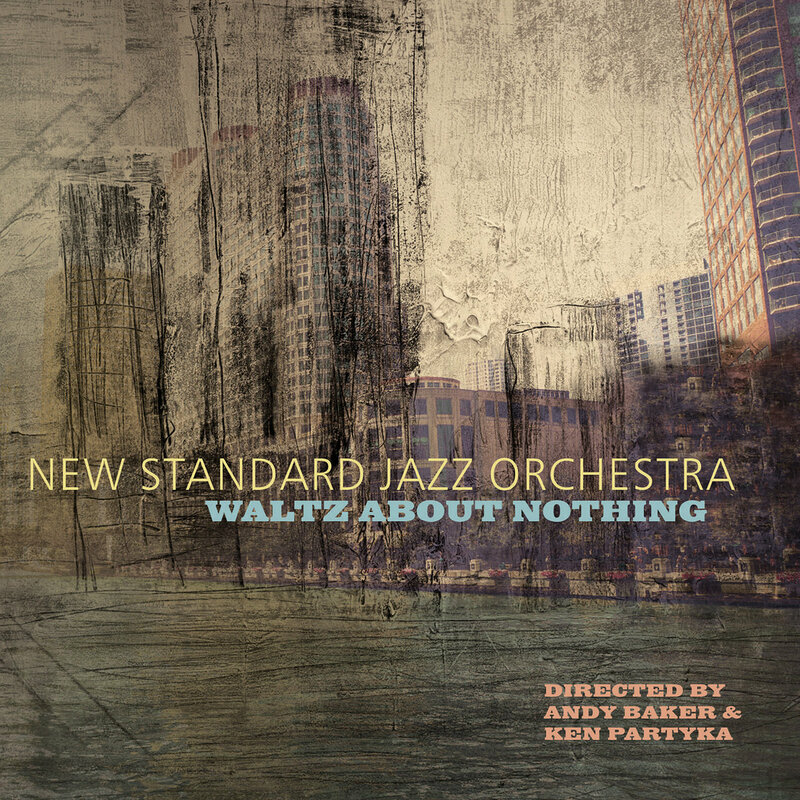 Since its inception in 2013, the New Standard Jazz Orchestra has emerged as a serious musical force in Chicago, one with a voice all its own. Co-led by saxophonist Ken Partyka and trombonist Andy Baker, the band is filled with some of Chicago's finest musicians, composers and arrangers, several who provide the majority of the band's repertoire. Through their monthly residency at the famed Jazz Showcase, NSJO's arrangers mine the ensemble for subtle textures and colors, starting out simply and building in complexity, drawing on musical devices that range beyond the typical as they establish rich backdrops for solos by world-class improvisers such as John Wojciecowski, Marquis Hill, Mark Colby and Tom Garling. 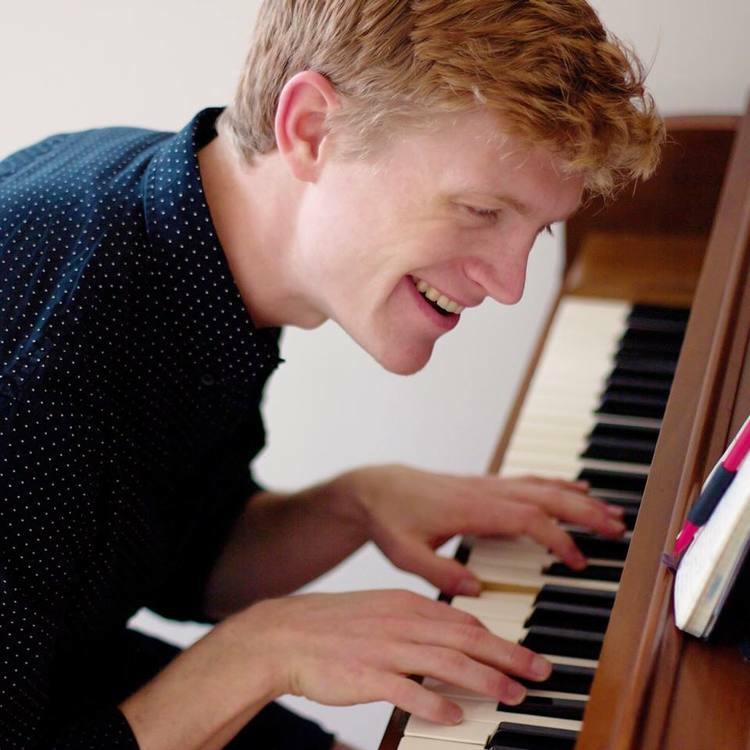 Originally hailing from Kalamazoo, Nich Mueller has been developing original music and a strong following in the Michigan area since his Downbeat Award winning debut album ‘All in A Day’ surfaced in 2011. Nich received a Bachelors of Music in Jazz Studies from Western Michigan University, and during his formal education he studied under or interacted with great jazz musicians and esteemed educators including Billy Hart, Fred Hersch, Ed Simon, Darmon Meader, and Peter Eldridge, as well as the highly esteemed faculty at WMU. Throughout his career, he has been privileged enough to have performed alongside greats such as Donny McCaslin, Bob Mintzer, Kurt Elling, Roger Treece, Matt Hughes, Keith Hall, and Phil Palombi; as well to have performed in venues and festivals such as Carnegie Hall, the Allen Room in Jazz at Lincoln Center, the Gilmore International Keyboard Festival, and Jazz Educators Network. Nich Mueller currently resides in New York City. 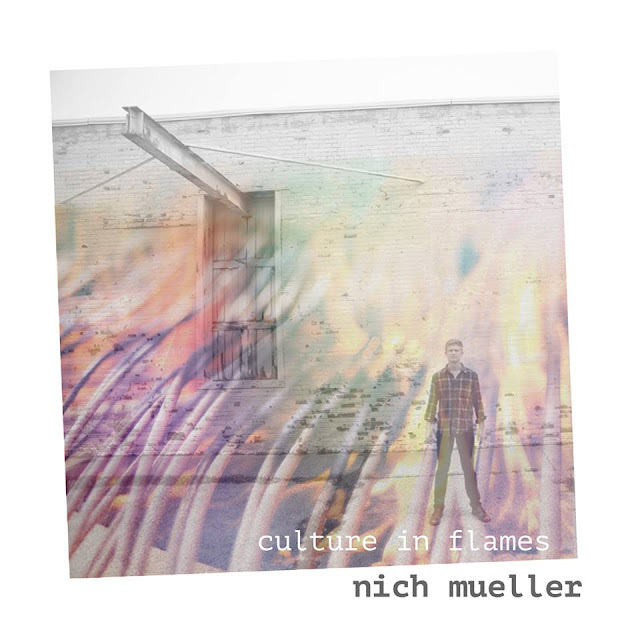 ‘Culture in Flames’ is Nich’s upcoming album set to be released on May 14th this year. It is the personalised musical statement of Nich and his band on the various thrills and issues we face living in the 21st century. Themes include digital age confusion, the experience of living in corporate controlled America, travel and self-discovery, the evolution of religion and spirituality, and personal trifles resulting from an increasingly distracting culture. 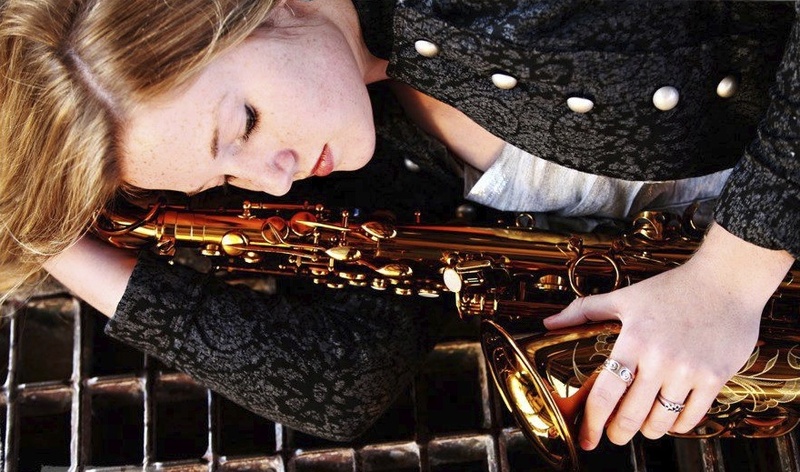 Allison Burik grew up in the Kansas City jazz scene, where the tradition of jazz is so deeply rooted that it can be heard in the musicians playing there today. 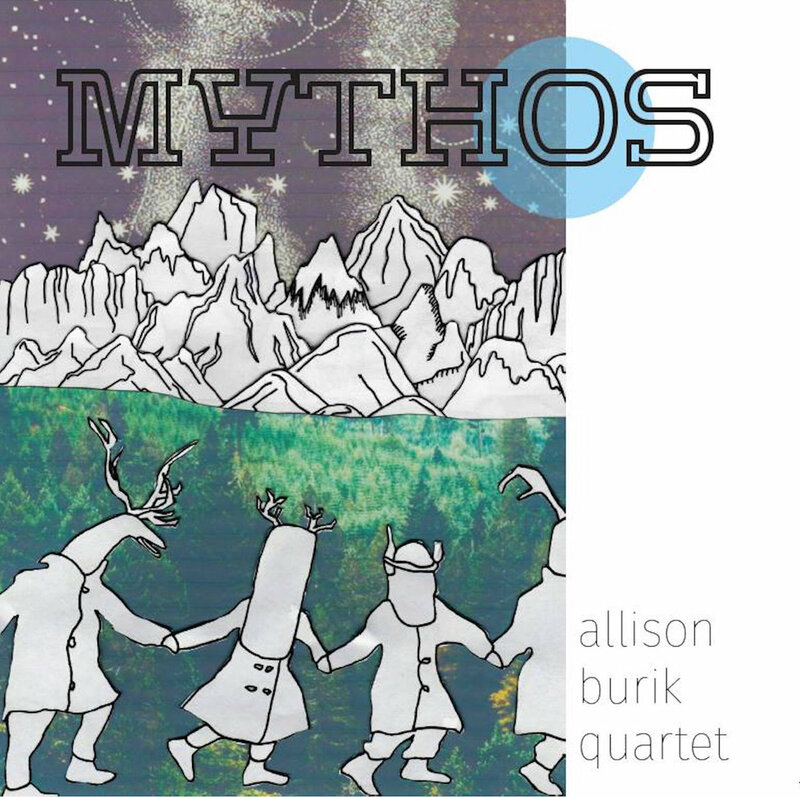 She has performed there as the headliner in her own ensemble, the Allison Burik Quintet, and also in a myriad of other ensembles including the New Jazz Order Big Band and the Black House Collective Composers Ensemble. She has performed as a featured artist at venues such as the Kauffman Center for Performing Arts and Take Five Coffee+Bar. In October of 2015, Burik went on tour with the Vid Jamnik 5tet in the Lorraine region of France and also performed in the Nancy Jazz Pulsations Jazz Fest. Burik released her first album, Lakeside, fall of 2014 and recently released a duo album entitled Umbrella Pine with guitarist Magdalena Abrego in September 2015. Over the years Allison has studied with notable instructors including George Garzone, Frank Tiberi, Bobby Watson, Shannon LeClaire, Tia Fuller and Dan Thomas. Today she is pursuing her degree in performance at Berklee College of Music under a full scholarship, while living and gigging in Boston. Marcin would like to thank: Miron Zajfert - for telling me about Bessarabia and introducing me to this wonderful music, Tomasz Kaliński - for helping us get into NInA for the recording session, Michał Kupicz - for the great sound of the record, and extremely fast work - WOW!, Patryk Zakrocki, Maciej Szczyciński, Krzyś Szmańda - you are great musicians, friends and wonderful people, it's an honour to play with you. If you have managed to get as far as here, the hidden track is called ‘Gone’. 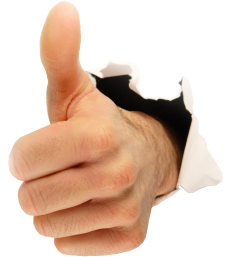 Hope you have enjoyed finding it. 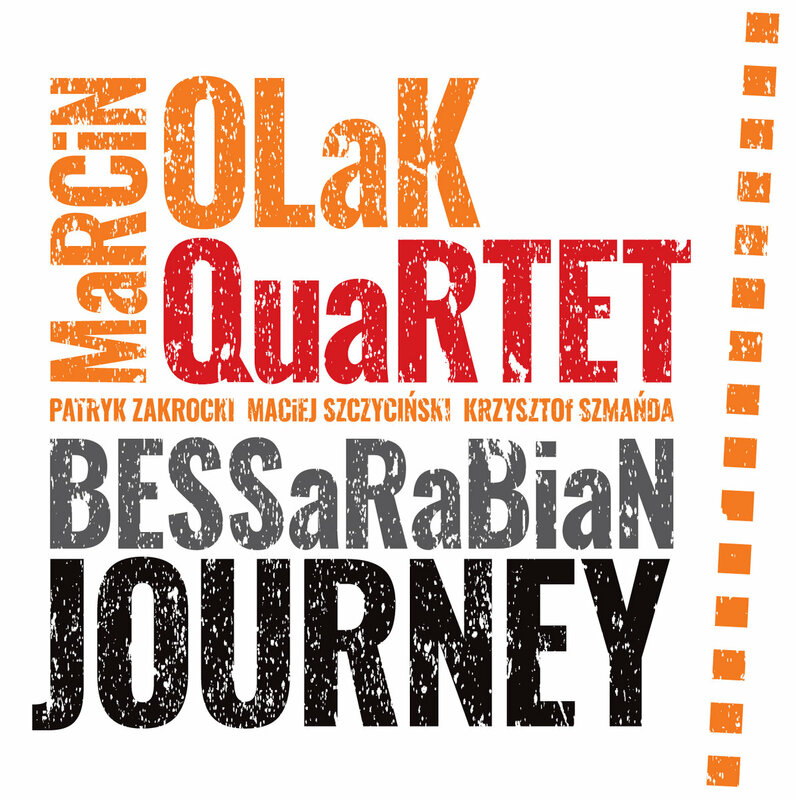 The "Bessarabian Journey" was created especially for the New Jewish Music Festival, inspired by its director Miron Zajfert. This CD was recorded live in front of an invited audience. Except for very small edits, what you hear is what we played. I wanted to interpret this great Irving Berlin standard with the swinging Mr. Houston Person, and I thought the two young vocalists could have fun with it. This has always been one of my favorite Duke pieces, and Houston Person, who recorded it on his like-titled CD, proves again that he’s the ballad master! 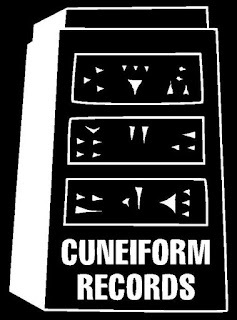 I composed the title track back in the 1990s when I had my group with Cindy Blackman, Terell Stafford, and Don Braden. I still think fondly of them when I play it. Another tune from that time. Cindy Blackman put that “Sister Cheryl” beat to it way back then, when I got to do it as a member of her band. 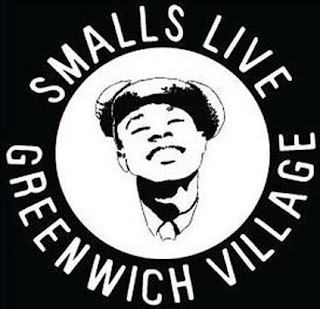 We used it as a tribute to Tony Williams when he passed away so suddenly. This is actually my first composition, written when I was in high school at Baltimore Polytechnic. It stayed in my head all this time and I finally gave it a title and started playing it only a few years ago. Here, I use it as an interlude—sans piano. In 2011 I was working with the choreographer Candice Franklin. She liked my tune "Blues On The Edge" and asked me to write something similar for her company. I used a piano riff by Duke Ellington as the basis of the composition, along with the free jazz influences I picked up playing with Max Roach and with Roswell Rudd. 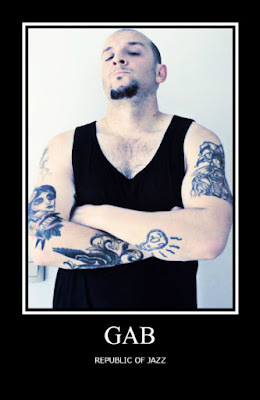 I wanted a real expression of freedom from the bass and drums. It was a challenge to get the musicians to really go free. Then I mentioned Sonny Murray and it was like I gave them permission to go nuts! This tune from my very first CD also appears on my solo CD. I wanted to do it again, adding the human voice. And since it’s very much rooted in the blues, I let Houston Person work his soulful magic. I wrote this blues at the Station Café in Brooklyn, while I was—what else? Drinking wine! After we recorded a couple of takes Jazz Judy, an old friend who’d come to the session, suggested that I not play the melody while Ms. Horn delivers it. So that’s what we did. Caleb’s writing is unique, and different from my style. I enjoyed the challenge of trying to interpret his tune in my own voice. I’m in awe of Ray Noble’s compositions—they vary so much and are always such fun to play. Houston Person blows this tune up! I’d been playing this Barry Harris–influenced arrangement for a while, and then one night at Trumpets, Houston asked me to play a solo piece. The great bassist Ray Drummond joined in, figuring out my arrangement wonderfully as he went along. Houston dug it so much he used it on his CD The Melody Lingers On. Here, Antoine lays out until it’s time for him to solo.